A neat and systematic way to bead over another bead. 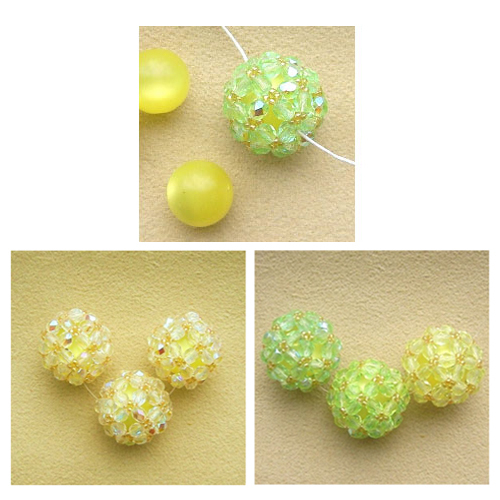 Can be adapted to a variety of bead sizes and shapes once you know the trick. An original design, you haven't seen this one from anyone else. Excellent diagrams and very thorough step-by-step instructions. Pattern includes two methods for cross-weaving, and one for single-needle, plus the instruction page for how to tie a concealed knot.